Cresslands News and Updates » Daffs galore! 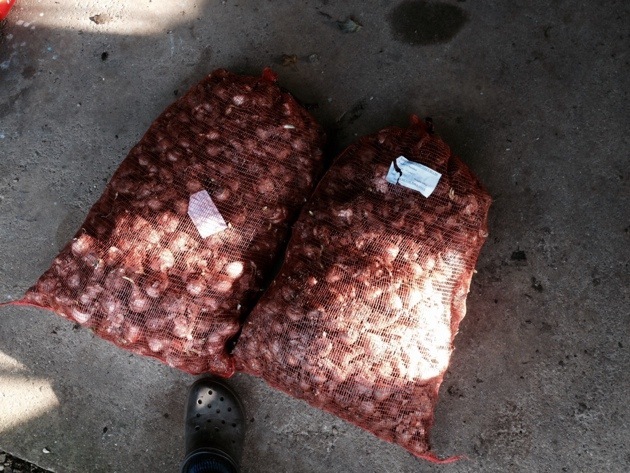 When I asked for some bulbs to plant along the front entrance and roadway to bring in some spring chi I wasn’t expecting 50kg of mixed daffodil bulbs!! I’m sure I will be able to find somewhere in the 6 acres to bury them though. So, over the next few days I’m going to set to it and get as many in as possible between showers. Glad the soil is easy to dig! This post is filed under Landscaping and tagged daffodils, planting, spring.